These days, the cost of fuel is escalating, and people are concerned about the environmental pollution. The old model water heaters have a problem of heating and storing a large amount of water. Over time, that consumes a lot of energy, which results in raising your gas or electricity bill. That is where electric tankless water heaters step in. electric tankless water heaters in Apache Junction, AZ are also popularly known as instantaneous water heaters or demand water heaters; they only heat water when it is required. The best part about tankless water heaters is that they use less energy, which means they are very economical and smaller than the old models. These tankless water heaters only heat water when you switch on the hot water tap and that is why they are tankless. Thus, they do not need a tank for storage and do not lose much heat. Water flows to the unit and either the gas or the electric heater heats it when you turn on the hot water system. Usually, the electric tankless water heaters produce hot water at a slightly lower rate than the gas ones. You can place one in just any room of your house. 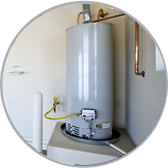 Lastly, you need to figure out the purpose of your tankless water heater in Apache Junction, AZ, and what kind of demand or purpose it is going to serve. A small unit under a kitchen cabinet can be fine for filling a cooking point, washing dishes, or making tea or coffee. Now if you want to heat your bathroom water, you will be required to purchase a larger unit. If you will need the tankless water heater to service your entire house, seek a professional plumber to get the gallons per minute for each fixture so that it can help you calculate the total hot water needed.